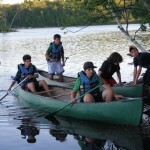 Every camper takes an overnight camping trip with their cabin mates. 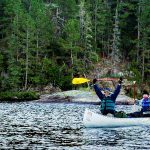 Up until age 14 our cabin trips are canoe based, either on nearby rivers or on some of the finest lakes in Canada. 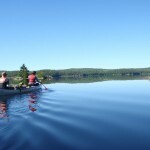 Of course there are many opportunities to go canoeing right at North Star. 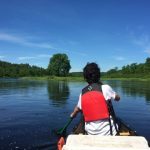 In addition to recreational boating, our canoeing program takes the time to teach all campers the basic strokes to make sure that when they do leave camp for their canoe trip, they have a successful experience. 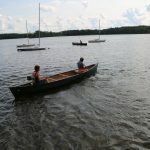 Each camper goes through our introductory canoe course during their first summer at North Star. 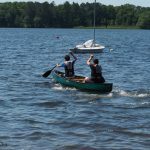 There they learn proper canoeing skills as they get ample practice in both the bow (front) and stern (rear) of the canoe. 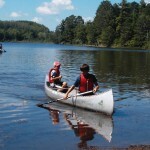 Campers are also taught important safety skills that are vital for each of them to know. 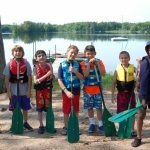 We use our canoes for fun activities throughout the summer, such as games of canoe dodgeball. 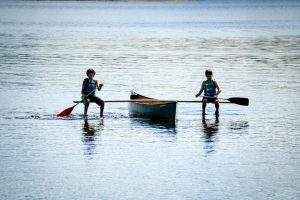 On Pow Wow Day, campers participate in a variety of canoe based events, ranging from standard canoe relay races to events such as Canoe Tug-o-war, Plank Paddling, and Canoeing without Oars.